is coming to an end as I'm switching interests and downsizing. 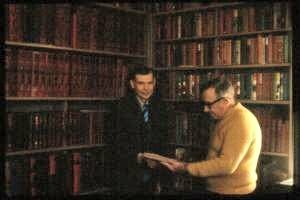 many acquired from the estates of the late Geoff Clark and late Tom Ebbage. I CANNOT POST, but WILL PACK SECURELY. YOU WILL HAVE TO ARRANGE FOR A CARRIER TO COLLECT. Click on the title for full details. Alphabetical order here, but full details AREN'T in order! 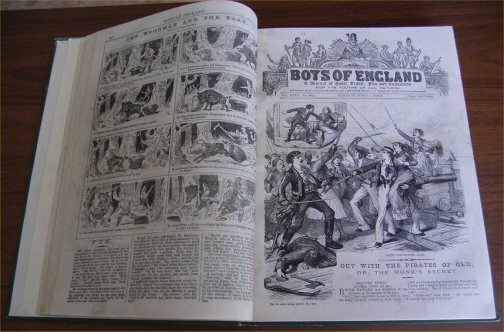 BOYS OF ENGLAND; Vol. 32, 17th March, 1882 to 8th September, 1882 Half-yearly volume. 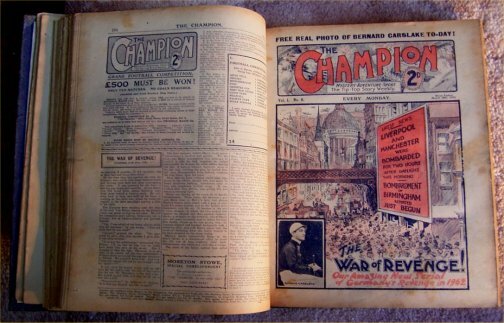 A Journal of Sport, Travel, Fun and Instruction, for the youths of all nations. Issues 800 to 825, All 416 pages checked and present. Close tears with numerous (later) tape repairs. Some spotting, some corner chips, but overall, in good condition. Actual volume has some cloth wear as per the photos but binding is tight and firm. Covers intact but in varied condition, poor to v good, unchecked internally and sold purely for the cover art. BOUND VOLUME OF THE FIRST HALF YEAR! 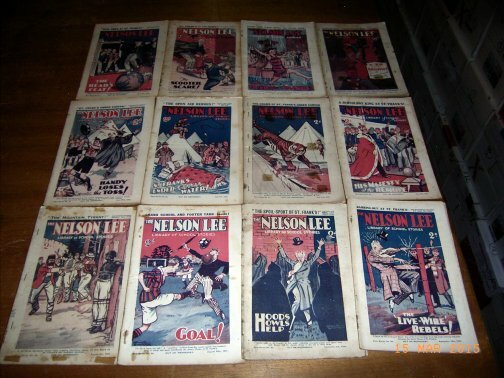 All 26 ISSUES!! 28th January 1922 to 22nd July 1922 All 728 pages checked and present. Early non-professionally bound as shown, but intact. Boards are worn on the edges. Numerous close tears on the page edges, probably inflicted when lightly trimmed and bound. The only really noticeable piece of damage is an 11x2cm piece missing on the last page of issue #16, as per photo. 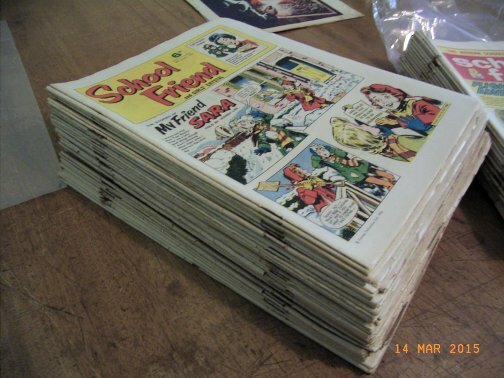 Pages, particularly the early issues and covers, have a degree of brittleness, spotting and foxing. 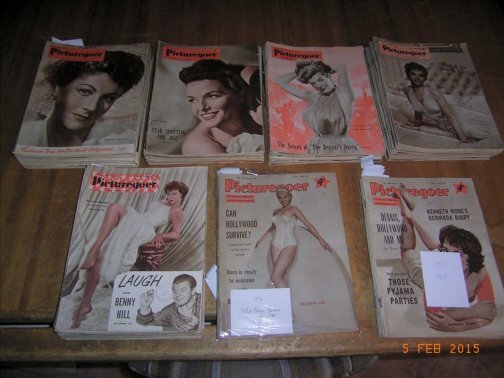 Nevertheless, considering how rare it is to find the FIRST 26 ISSUES, all pages are readable. * Public Institutions (e.g. public libraries) I may donate items on this page but you have to arrange for collection. ENTRIES IN SILVER TEXT have been ordered but not collected or the link is currently offline..